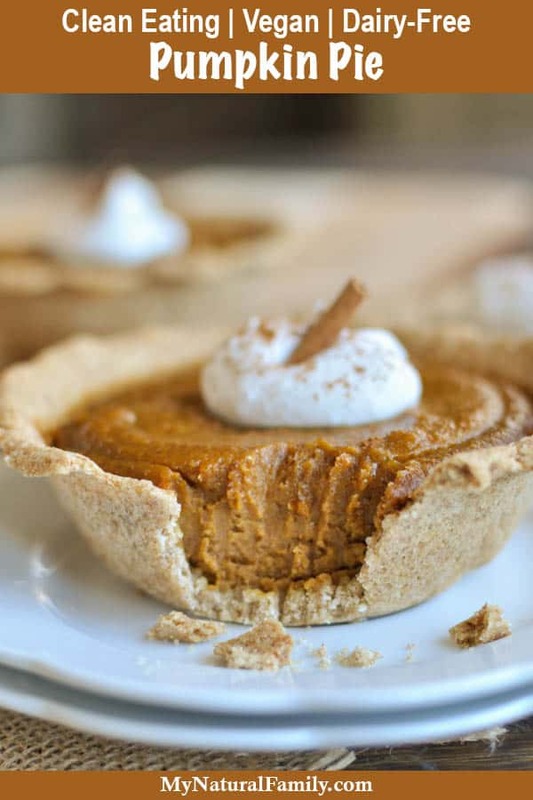 This Clean Eating pumpkin pie recipe is so good, you won’t miss anything. You won’t miss the eggs or butter and you’ll feel good after eating such a healthy pumpkin pie with a wholesome crust and no refined sugar. It has a deep, rich flavor from the maple syrup and is nice and thick from the coconut flour. I actually love the flavor of whole wheat pie crusts. 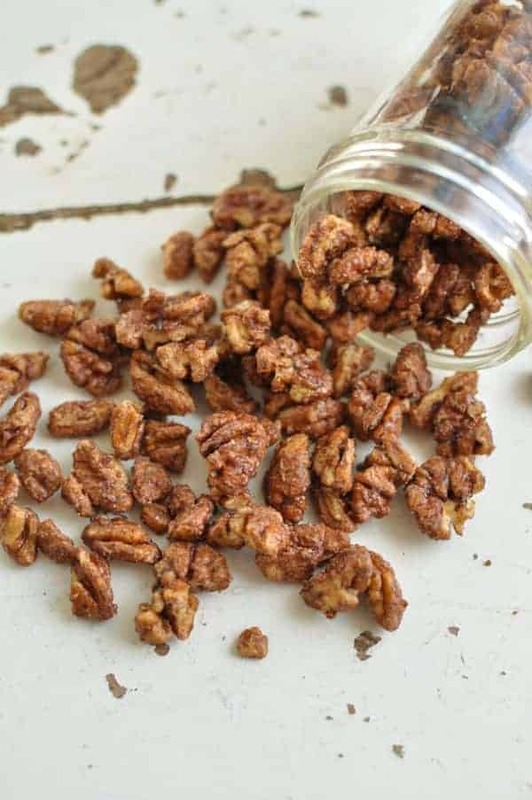 They have a bit of a nutty flavor and go so well with the flavor of pumpkin pie or pecan pie or other dark, rich pies like that. It’s November, and as much as I complain about winter, I really do love the months of October, November, and December (just not January and February so much). I love the fall and the holiday season. I also love taking extra time during November to reflect on what we are thankful for. We have a tradition of a Thankful Tree at our house. Basically, each night we write what we are thankful for on the back of a paper leaf, and then we hang it on the tree. 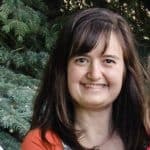 My children love it, and I love hearing the things they are thankful for. Plus I love Thanksgiving! Does it get better than good food and family? Now that we are officially into November, I can post this recipe, and I am so excited about it. 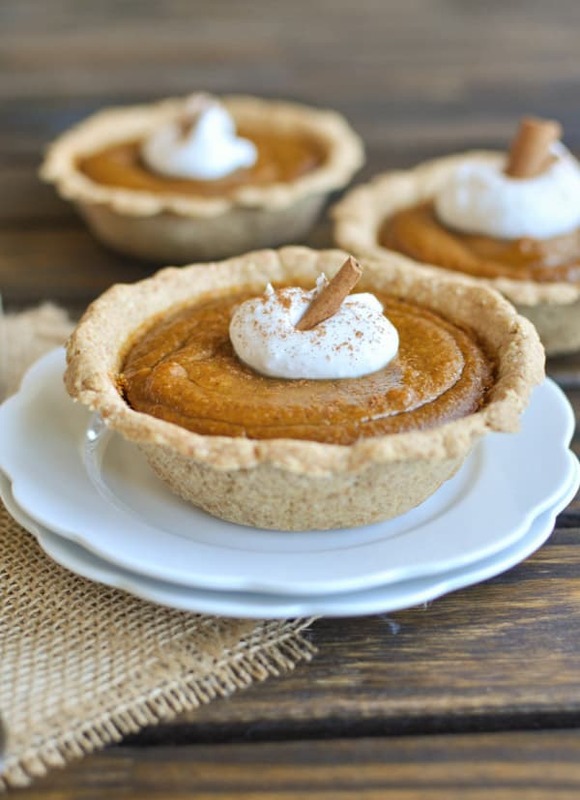 It really is the Best Clean Eating Pumpkin Pie ever! I promise you won’t even miss the eggs or butter, plus the crust is made with whole grains and there is no refined sugar anywhere to be found, so couple that with the nutrient-rich pumpkin you have a pie that you can feel good about eating – my favorite kind of pie! I served this pie to a group of taste testers, and they all agreed it was insanely delicious, and it’s just an added bonus that it is healthy!!! I used my Clean Eating Pie Crust recipe for this pie. I didn’t add any sweetener to it, but if you like your pie crust to be a little bit sweet, you can add 1-2 Tbsp coconut sugar. I would love to know if you try this pie and what you think of it. Please comment below and let me know what you think. 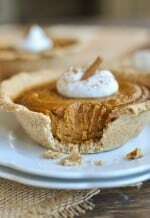 This Clean Eating pumpkin pie recipe has a deep, rich flavor from the maple syrup and is allergen friendly and Vegan with no eggs or butter. Not all almond butter is created equal, if your almond butter is on the runny side, you may want to add 1-2 more Tbsp of coconut flour. The recipe turned out great for me as is. 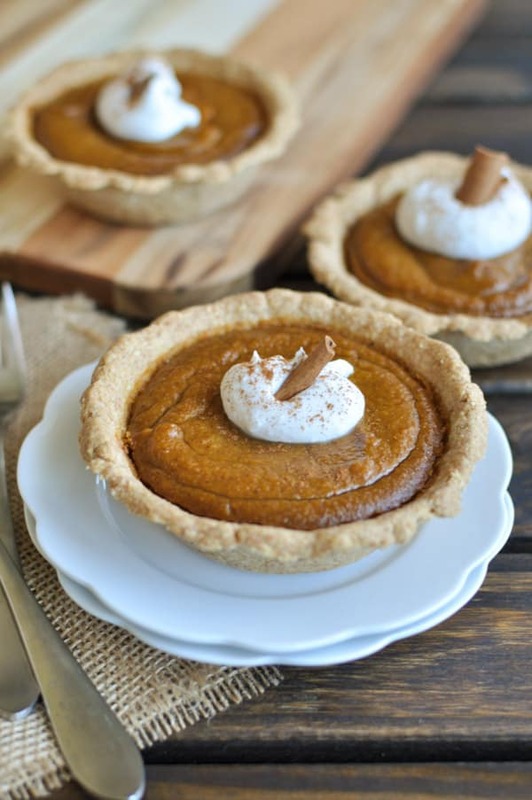 I am a massive fan of pumpkin pie – never knew that it was possible to make a vegan version though. Definitely a recipe I need to try, these look delicious! I love trying different versions of classic desserts, and this one doesn’t disappoint, especially if you have mini pie plates :).